Netflix Is Turning Us Into True-Crime Experts, But Is This Obsession Unhealthy? 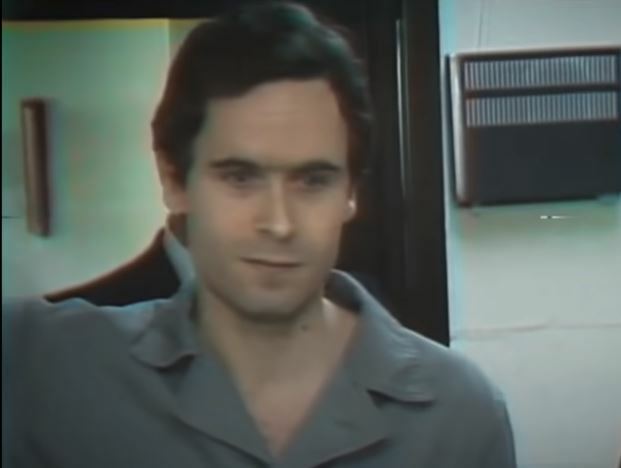 Netflix has been popping out true-crime documentaries left, right and center lately, with The Disappearance Madeline McCann, Ted Bundy Tapes, Dirty John, Making A Murderer, The Staircase, The Keepers and so on and so on. It seems that the only shows gaining any kind of media traffic is the ones that circle around the idea of brutal murder, or unsolved disturbing cases, which makes me think, are these obsessions becoming unhealthy? I'll admit, I am a sucker for true-crime docs. Anything that will give me some sort of shock factor is top of my to-watch list, but more and more so, I am noticing that the latest serial killer/true-crime/disappearance show Netflix release is shocking me less and less, and I find myself thinking 'this show is terrible', and not in the way that the story-line is horribly disturbing, but that I am desensitised by these REAL-LIFE stories, which is something many of us seem to forget. They're not just the latest show on Netflix, they all are based on somebody's life, and if the shock factor isn't high enough, most of us will switch off. I've noticed this particularly after the Madeline McCann documentary was released last week, with many people complaining on Twitter that it wasn't so good, that it wasn't interesting, that it didn't 'wow' them, and that it didn't 'go anywhere'. People seem to be forgetting that this is still an ongoing case. They haven't found Maddie yet, so of course, the show is going to be full of loose ends. The Ted-Bundy case was another one that had me thinking halfway through - What is happening? Watching the amount of reaction this show got online was amazing. People were engulfed by the story, giving their own opinions on the real-life stories that affected thousands of people in America. Many fear that people are beginning to lose sympathy and empathy for the victims, causing viewers to be desensitised to the point where they forget that people were brutally harmed. Another way to look at this is on the accusations made against Madeline's parents during the investigation and how the media were so quick to turn on grieving parents, who were after losing a child, without any real evidence, affecting public opinion, which can be vital in cases of this kind. One of the positive outcomes from this worldwide attention on such criminal investigations, is some cases do get re-visited, like in Making a Murderer. Now that attention has been turned back to the Madeline McCann case, who knows? Maybe someone with a vital piece of information will come forward, changing the course of the investigation completely. This may be turning into a seriously unhealthy addiction, that soon people may have to be treated for, but for now, let's try and enjoy Netflix's latest true-crime releases, responsibly. Remember - it's real life.